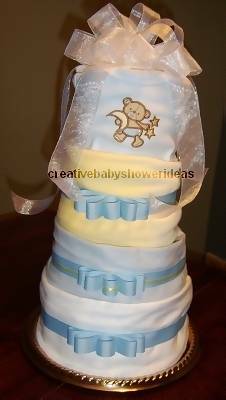 Diaper Cake Decoration Ideas for Your Baby Shower! 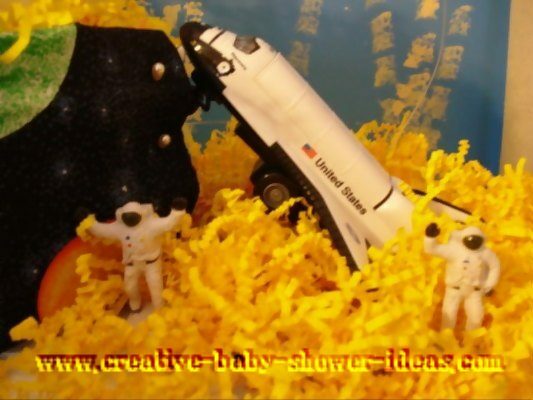 And if you do end up making a diaper cake, don't forget to share your photos with us! Infant Bib Says: "Let my Little Light Shine"
Infant Onesie - Says: "Out Of This World"
I started by covering a cake board with a receiving blanket. Then rolled the diapers and created each layer. 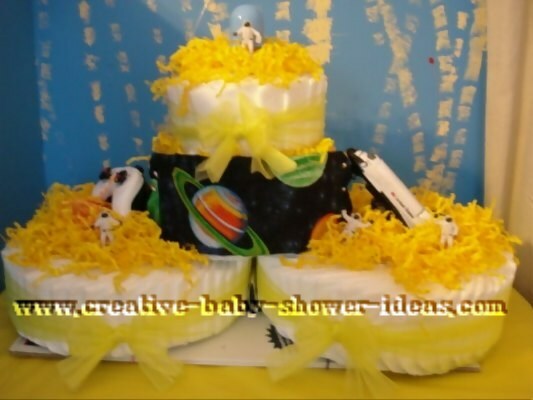 Added ribbon to accent the layers and attached various baby toys, bottles, and binkies to the cake. Finished it off by making a bow and a glittered star for the top and rolled the extra receiving blankets and tied them with ribbon. I'll be a first time grandma with my son late July 09 and I'm co-hosting the baby shower. Instead of buying a centerpiece, I decided to try my creative hand. 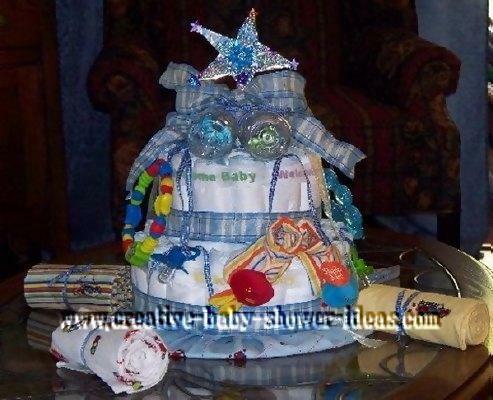 I had so much fun making this diaper cake and it took less than 2 hours! 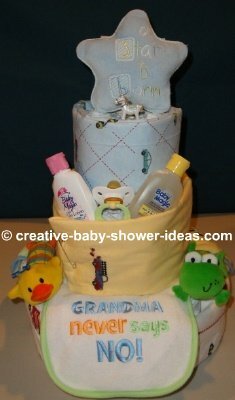 Share Pictures of Your Diaper Cake Decoration!